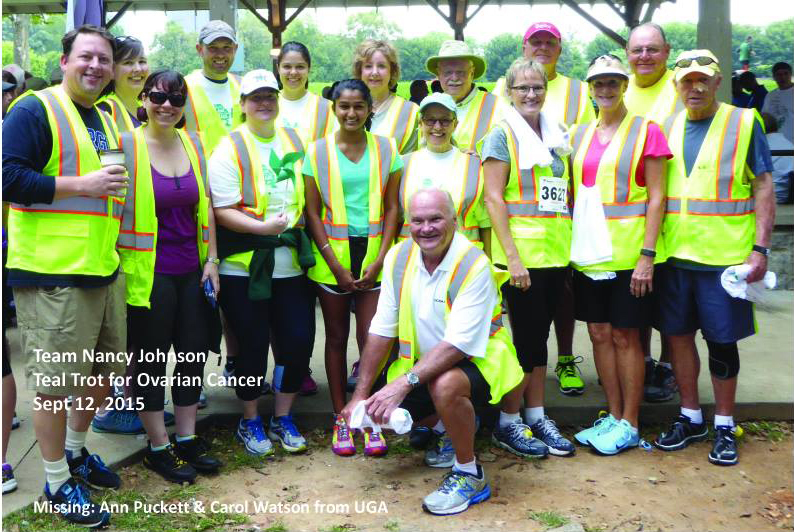 Members of the Georgia State Law community gathered at Piedmont Park on Saturday, Sept. 12 to honor former law library director Nancy Johnson at the Georgia Ovarian Cancer Alliance‘s annual Teal Trot 5K. In addition to walking and running at the event, Team Nancy and its supporters raised over $5,000 to support GOCA’s mission to educate women and their families about ovarian cancer. 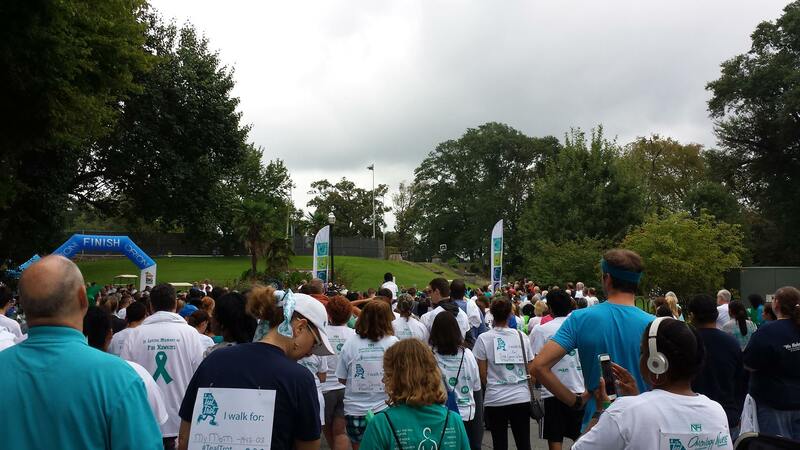 The 18 members of Team Nancy joined over 1,000 other participants in the southeast’s largest ovarian cancer awareness event, which raised nearly $125,000 in total for educational and outreach programs. Nancy Johnson (1949-2014) was associate dean for library and information services and professor of law emerita, working tirelessly for Georgia State from 1980 until her retirement in 2012. She passed away on Dec. 13, 2014 after a seven year battle with ovarian cancer.